Our mission at Unique Funding is to tailor-make lending arrangements to suit our customers’ unique capital needs. We offer collateral-based lending that eliminates the need for lengthy underwriting practices. No credit check necessary. We make funds available within hours, not weeks. and much more. If you don’t see your item, just ASK! and anyone else that has a UNIQUE situation. 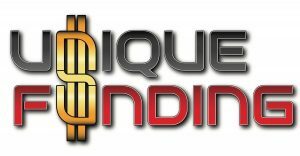 Here at Unique Funding, our friendly and professional staff have the tools and experience necessary to listen to our customers and custom-make business arrangements that fill their short-term capital requirements. We focus on ethical and personable business transactions and treat each and every customer like we would expect to be treated ourselves. We strive to continually build trust and valuable relationships among our community along the way. Our #1 goal is to set each and every customer up to WIN. We understand that we can only be successful if we are able to make the customer successful. Come see why we’re the Good Guys.